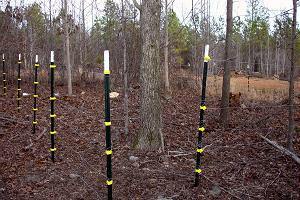 In future the fence can be reconfigured and used around a garden or as a fence for goats to aid in the clearing of underbrush. Originally the fence was powered electrically but in future it can be powered by a small solar panel. 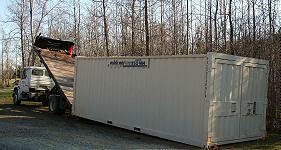 During construction, we used a Mobile Mini storage unit for the construction materials and tools. It's very durable, secure and keeps out the weather. They pick up and deliver and offer an inexpensive insurance policy for the contents. 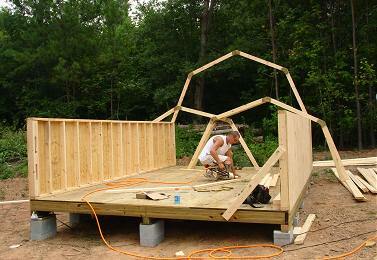 We chose a barn-type building for our permanent storage needs. It was purchased through Lowes, but was site built by Courtyard Construction. 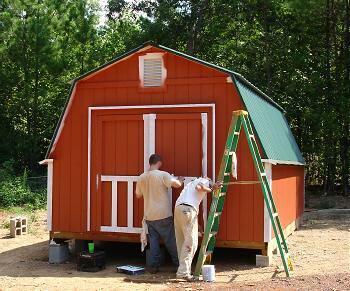 We could chose the building model, type of doors and the metal roof to match our home. They did a great job, at a very good price. The building was then painted to match the brick color of the house.